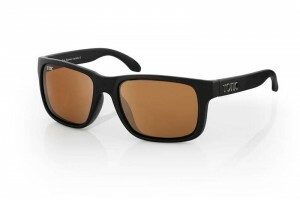 Tonic Polarised Eyewear, the new leader in high quality fishing sunglasses, has released two new frames the Mo and Jo in time for summer. Mo and Jo feature the new SLICE lens, the thinnest and lightest polarised glass lens in the world. Doug Phillips, maker of high quality polarised eyewear in Australia since 1992 and founder of Tonic Eyewear says: “the Mo & Jo are a new direction for Tonic, they are big styles and bolder than anything we have ever done before. They are great for fishing and everyday use too. Everyone is going to want a pair of Mo or Jo this summer”. Available from Tonic stockists now, the new Mo & Jo come in Photochromic Copper, Green Mirror, Red Mirror and Silver Mirror. Fully made in japan, every pair of Tonic Eyewear incorporates the latest optical technology including de-centred lenses for distortion-free viewing at any angle. Tonic’s scratch resistant SLICE lenses is the thinnest , lightest glass polarised lens in the world at just 1.3 mm thick; making them 50% lighter than regular glass and all feature anti-reflective coatings and Tonics own polarising filter systems. Tonic Polarised Eyewear comes in more than twelve wraparound styles and a variety of lens types to suit different situations. 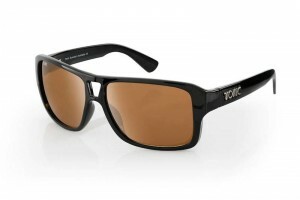 Available at over 250 locations around Australia and New Zealand, see the full range and find your nearest Tonic retailer at www.toniceyewear.com.au.